Is a visionary who has been developing, producing and marketing all forms of media related content for over three decades. His passion and drive has lead to a number of accomplishments and a great network of influencers within the entertainment and broadcasting field not only in the U.S but internationally. 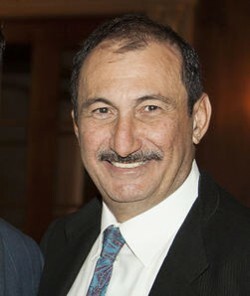 Wahid is the creator and producer of the Arab American Television Program also known as AATV. AATV is the first and only independent Arabic Television Program which represents all Arabic countries and appeals to Arab-American households in the United States. AATV aired for more than 35 seasons and was broadcasted nationwide on LA18-KSCI and a US based national channel known as The International Channel as well as in Canada. AATV aired in more than 300 local and international cities combined and had a daily estimate of more than 500k viewers throughout Southern California alone. Boctor also established the prestigious AATV Lifetime Achievement Awards, presented to stars within Film, Music and Television as well as the Award for the “Best Middle Eastern Intellectuals”. Boctor is also the creator and producer of the Orthodox Christian Television (OCTV) the first television program and production to represent the large Orthodox Christian Communities in the United States. Covering 15 seasons, OCTV aired weekly on KSCI and the International Channel nationwide for over five years. The monthly print magazine for Arab Americans (AA Magazine) was another creation of Mr. Boctor. Stay tuned for more exciting projects from Mr. Boctor.